How people learn, what they know and how it influences their personality, their behaviour and their position in society, is examined from various different perspectives. With a focus on Eastern Europe, “Creativity Exercises” presents historical and contemporary artistic projects that experiment with alternative forms of learning. The exhibition, workshops and lectures look into the inquiring quality of creativity, which is at the same time subversive and constructive: artistic approaches that challenge a wider view of learning, and related social, economic and institutional conditionalities, are introduced and activated. In analogy with questions and concepts associated with educational and social sciences, these artistic projects investigate equitable forms of learning and learning exchange. The interplay of individual expression and collective action is considered, along with the reversibility of the relationship between teacher and pupil. Another focus is on exclusion mechanisms in the education system versus the empowerment potential of knowledge. The title of the project is borrowed from a drawing course held by the artists Miklós Erdély and Dóra Maurer between the years of 1975 and 1977 in Budapest. 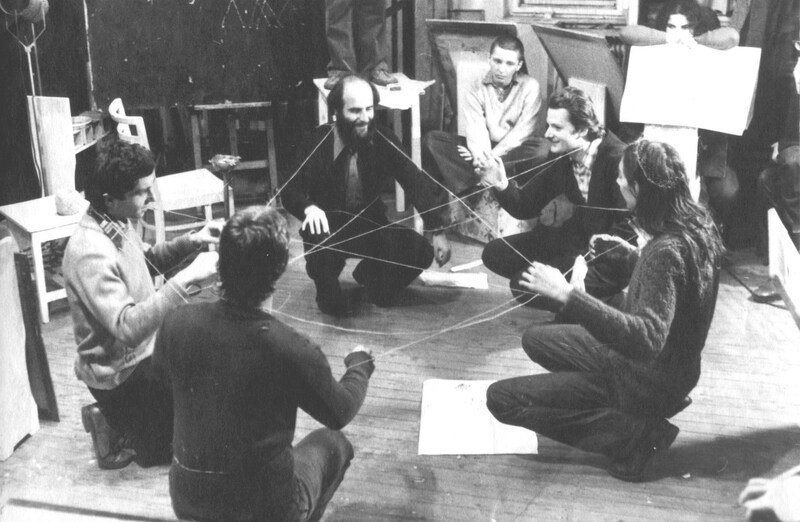 For a short time, independently of state art schools, the education of amateurs presented the opportunity to put collective and process-oriented work to the test and to eliminate thought barriers. “Creative Exercises” was developed in collaboration with tranzit.hu. One year ago, the symposium ‘About Mediation of Art’ in the framework of the MitOst Festival and as part of the Grundtvig Learning Partnership of CAfE took place in cooperation with GfZK Leipzig. More about the symposium in the related blog post here. Tags: accessible art, creativity, Creativity Exercises, Eastern Europe, education, exhibition, GfZK, learning, Leipzig. Bookmark the permalink.